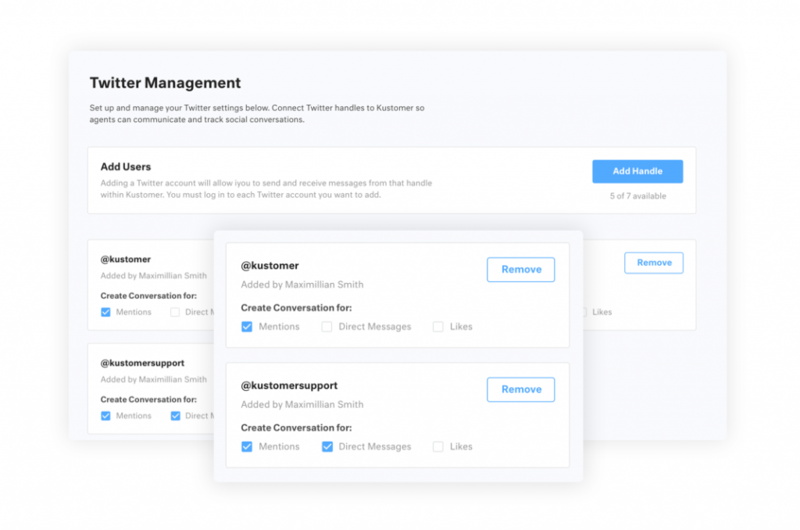 Connect your Twitter handles and Kustomer will automatically create conversations for Direct Messages and public mentions, so agents can communicate and track Twitter conversations with customers. The Twitter integration adds two dedicated channels to the Kustomer app: Direct Messages (DMs) and @mentions (including likes). You can choose whether DMs, @mentions, or likes are brought into Kustomer for each connected Twitter handle. If a Twitter handle matches an existing customer record it will be automatically added to their timeline in Kustomer. From a service perspective, it’s crucial that both public mentions and DMs are part of an omnichannel conversation, so agents can see the entire context of the conversation. 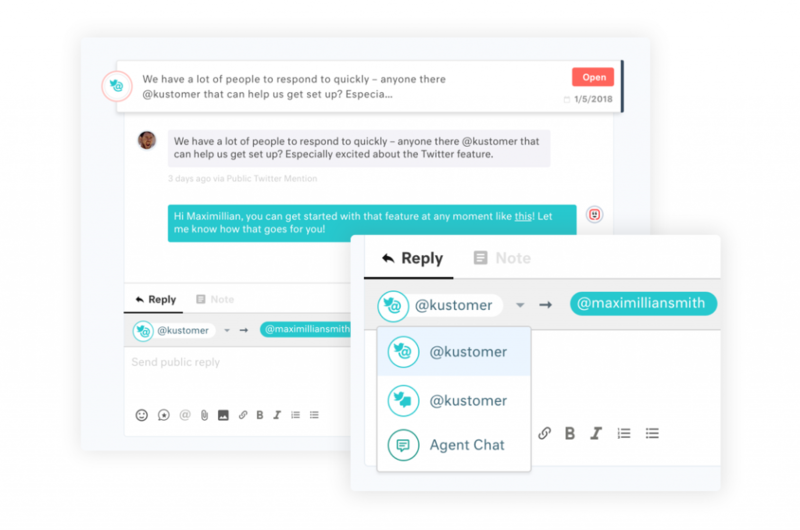 With Kustomer, agents can even follow up via email, chat or any other channel, to continue the conversation that started with an inbound tweet. Team leaders can also create searches to prioritize how agents follow-up. All incoming DMs and @mentions populate in Kustomer in real-time, with no refresh needed. Real-time updates are critical when customers expect quick responses. Kustomer also displays the user’s location, handle, avatar, followers, verification status, and more, all in a single context card. Understanding metrics around Twitter as a support channel is also important. Support team leaders can gain insight into individual agents’ and the entire team’s performance with Twitter Channel reports. This report feature in Kustomer makes it easy to find areas of improvement and leverage best practices across other channels.